Thea and Isaac have always been friends, despite his constant jokes, despite her stubborn belief in time travel . . . despite the distance between them. But when Isaac returns home from New York when their friend goes missing, suddenly things aren’t as they were. Something is different. Thea and Isaac have always been friends. But maybe that wasn’t how it was supposed to be. not too far in the future, two people meet. Hold Back the Stars is the love story of the year. Hold Back the Stars is being translated into more than twenty languages around the world. international cover designs and publication dates. Read by Games of Thrones actress Gemma Whelan. Available on Audible and all good audio sites. Listen to an extract below. I was sworn to secrecy, but I can see the news is out about the actors playing Max and Carys in the film adaptation of Hold Back the Stars. And it’s hella exciting!! John Boyega (Star Wars) and Letitia Wright (Black Panther) are attached to star in Hold Back the Stars, directed by Mike Cahill (Another Earth/I Origins) from a script by Christy Hall. Dan Cohen and Shawn Levy (Arrival/Stranger Things) are producing. In October 2018 a 17-year-old self-taught singer-songwriter from Hong Kong emailed me to say she’d written a song for Max and Carys from my novel, Hold Back the Stars. I was blown away. It’s so beautiful! To celebrate the publication of my new novel, The Light Between Us, we're having a blog tour! These are all the places where you can read reviews and bits about the book every day across the next 2 weeks. Exciting! ✨I'll add the links to the blogposts below, so they're all collected in one handy place. Introducing the cover for my second novel, THE LIGHT BETWEEN US, coming August 9th. It’s a novel featuring light and time, dusk and dawn, day and night... summed up so beautifully in this cover! (Imagine those gold sparkles on a shelf!) Designed by Beci Kelly at Transworld, who also designed the HOLD BACK THE STARS paperback. It's a story about light and time. There is some kind of alchemy involved in finding the right book at the right time. I truly believe there is a specific and perfect time in anyone’s life to read a story—you just have to cross your fingers and hope that you’ll cross paths with it, or have the book pressed into your hands by a loved one, precisely when you need it the most. I wrote about reading The Time Traveler's Wife by Audrey Niffenegger exactly as I went through my own personal heartbreak - and how cathartic that was. A big week for my little book. First shortlisted for Starburst Magazine's Brave New Words, an award recognising original genre writing, today Hold Back the Stars was announced as a finalist for the Romantic Novel of the Year Award. Eeeee! Run by the Romantic Novelists' Association, the awards -- called the RoNAs -- are fascinating in that they celebrate the best in romantic fiction each year, honouring works in Contemporary Romantic Fiction, Epic Romantic Fiction, Historical Romance, Romantic Comedy, Paranormal and Speculative Romance, Young Adult Romance and Shorter Romantic Fiction (with the RoNA Rose Award). It's fantastic to see an award recognise so many genres and facets a love story can take. Now, this is a cool thing. An award for genre writing that considers novels, blog posts, short stories, screenplays, poetry, and anthologies. Run by Starburst Magazine, 'Brave New Words' boasts not only an impressive spread of different mediums, but the perfect sci-fi play-on-words title. Every writer has a music playlist for their book. Don't they? At the very least a brain trailer reel - the music you imagine the scenes of your book set to. I, personally, use music as a way to transition from my day job back into the world of the novel each evening; I listen to a varied playlist as I drive home from work, letting the music lead my imagination away from Microsoft Outlook and office politics, and back towards the meteor showers, light-up dance floors, and first dates in abandoned observatories of the story I'll be writing when I get back home. Sign up with your email address to be the first to receive news, special offers, freebies and updates. so I promise you will only receive an email when there is something worth saying. Thank you! You'll receive an email asking you to confirm your subscription. Thank you! 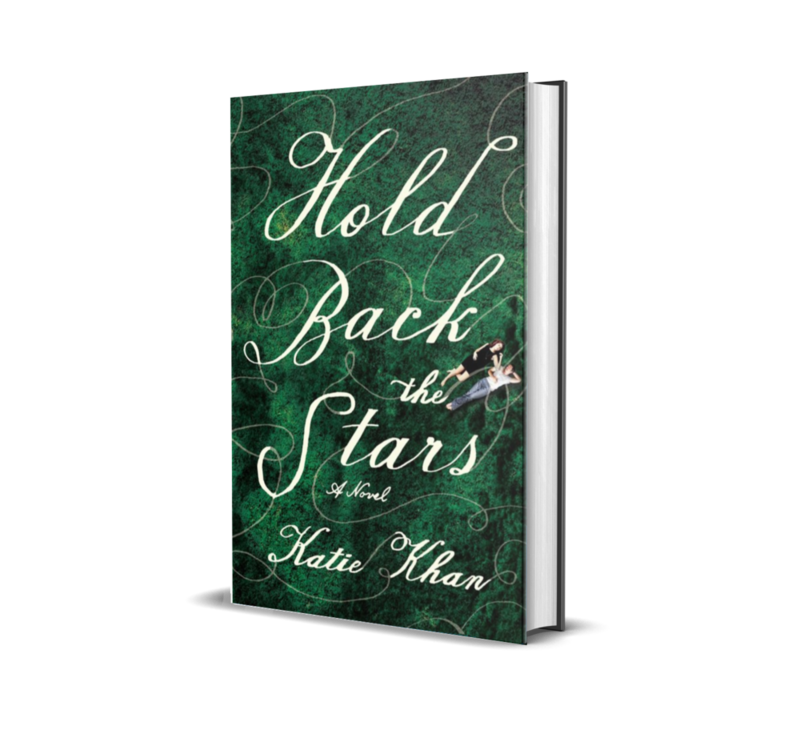 Katie Khan is a writer from London whose first novel, HOLD BACK THE STARS, is published in twenty-four countries internationally and translated into twenty-one languages. HOLD BACK THE STARS is being adapted into a film by producers Dan Cohen and Shawn Levy (Arrival/Stranger Things), starring John Boyega (Star Wars) and Letitia Wright (Black Panther), to be directed by Mike Cahill (I Origins/Another Earth). HOLD BACK THE STARS was a finalist for the Romantic Novel Awards 2018, and shortlisted for Brave New Words, celebrating originality in genre writing. 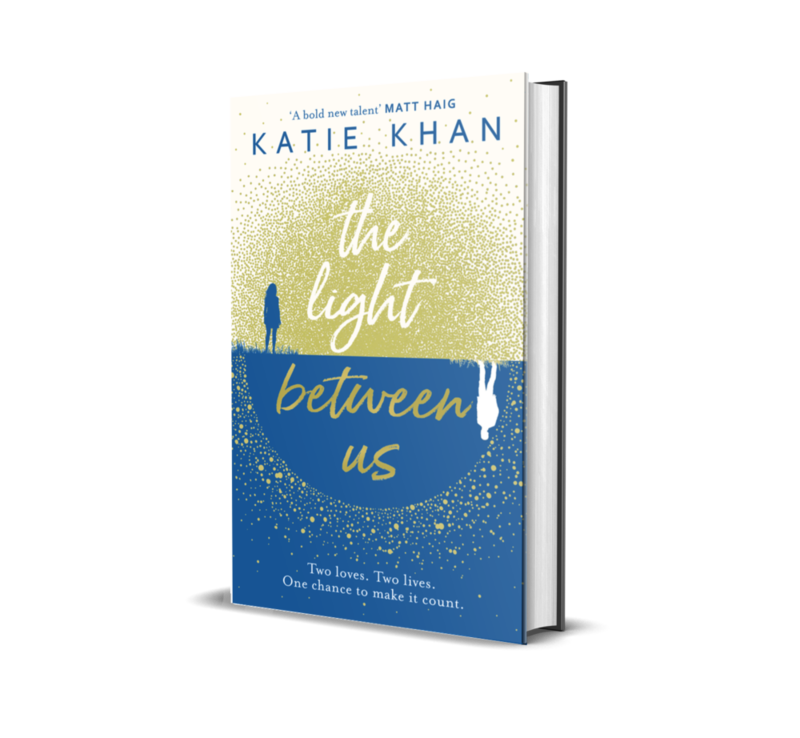 Katie’s second novel THE LIGHT BETWEEN US is published in 2018, a story about unrequited love and friendship — and time travel. A fan of love stories with epic settings both on the page and on screen, Katie spent 10 years working in online editorial and technology, including 4 years as Head of Digital at Paramount Pictures, before joining Warner Bros. in 2017 to work on a major film production. Named in the 40 Under 40 working in European Cinema at CineEurope 2016, and The Drum's Top 50 most influential people in social media marketing in the UK, Katie was also selected as a Rising Star by The Media Eye. Katie is represented by literary agent Juliet Mushens, and represented for film rights by Howie Sanders at Anonymous Content.